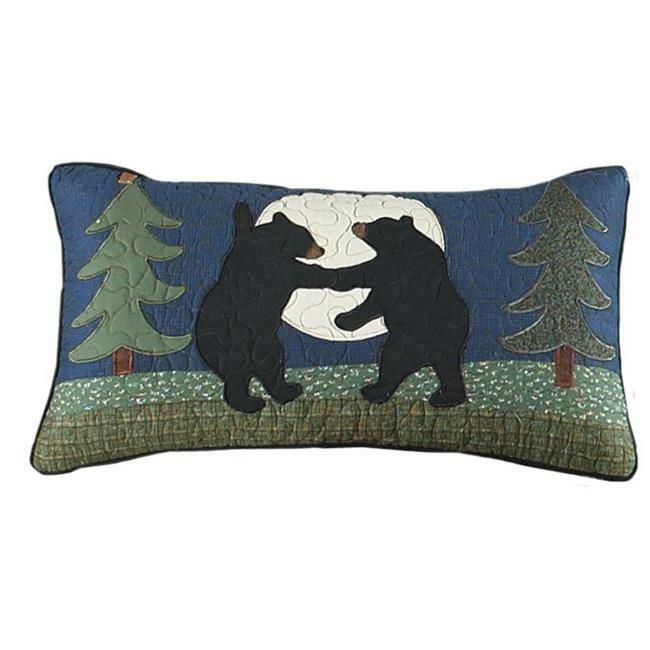 This whimsical 100% cotton rectangle accent pillow adds a delightful, woodsy charm to any room. With a full moon rising above the pine trees, black bears decide to have fun and dance around. Crafted using dense, thick cotton for strength and durability in rich brown, green and navy fabrics that are arranged throughout the design, all of which are classic rustic colors. Coordinates with Donna Sharp Bear Dance Bedding Collection.